Suzanne Solvyns received human pituitary hormones on a fertility program for three years in the mid 1970. In 1992 Suzanne was informed that she was at increased risk of developing Iatrogenic CJD and then told that she had received a contaminated batch common with woman who had died of Iatrogenic CJD as a result of the fertility program. Suzanne was a founding member of the CJDSGN in 1993 and took on the role of director in 2004. 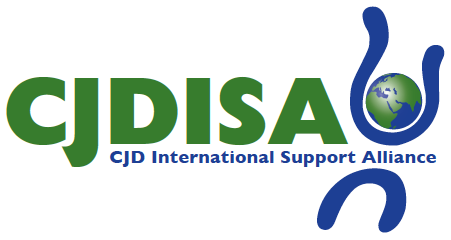 Suzanne is a founding member of the CJDISA and co-chair of the CJDISA since 2006.